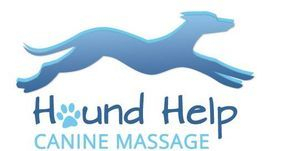 Canine Massage supports and assists the muscular system, reconditioning soft tissue injuries, relieving orthopaedic conditions that may be having a detrimental effect on mobility, behaviour and quality of life. 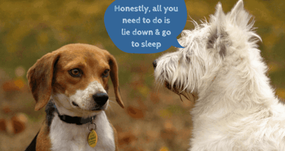 Assisting both dogs and owners through recovery, recuperation and rehabilitation from trauma, surgery, injury or quite simply everyday wear and tear. Treatment sessions last around an hour and cost £30 for a session at my studio in Ewell or £40 for a session in your home. Canine Massage utilises four massage techniques, Swedish, sports, deep tissue and myofascial release encompassing over 50 techniques, supporting the treatment of dogs suffering from both chronic and acute conditions, including orthopaedic problems, soft tissue damage, genetic disease, age associated issues and anxiety related disorders with results usually being seen in 1 to 4 sessions. The winter chill is here! All those muddy paths and frozen ponds, we all slip and slide and our dogs are no different. Now’s a great time to get your dog a FREE muscular health check, contact me (07740 741314 / info@houndhelp.co.uk) for an appointment or pop in on one of my open mornings and I’ll be happy to answer any questions you might have.